Fresh Broccoli and Granny Smith Apples with Almonds and Sweetened Cranberries in All Natural Apple Cider Vinaigrette. Fresh Broccoli and Carrots with Red Onion, Sun Flower Kernels, Real Applewood Smoked Bacon, Golden Raisins and Sweet Coleslaw Dressing. 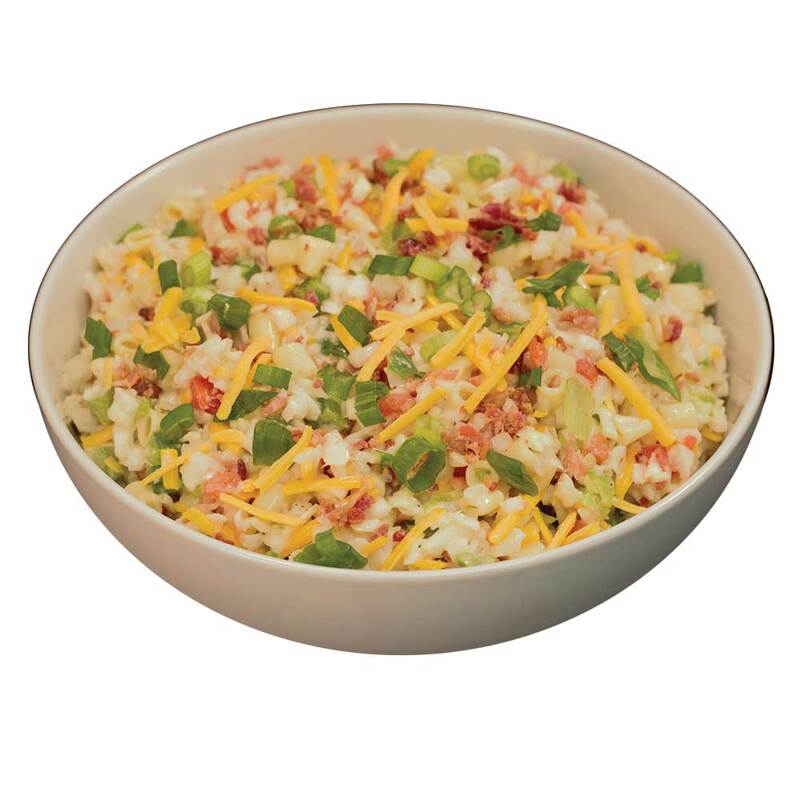 Farm Fresh Cabbage with Fresh Tomatoes, Green Peppers, Green Onion, Real Wisconsin Cheddar Cheese, Applewood Smoked Bacon, Ditalini Pasta and All Natural Chicago Style Dressing. Hearty Chickpeas Blended with Fresh Bell Peppers, Green Onions, Tomatoes, and Ripe Olives in Cilantro Lime Vinaigrette. Fresh Cabbage with Carrots, Oranges and Cranberry in Hearty Cranberry Sangria Dressing. 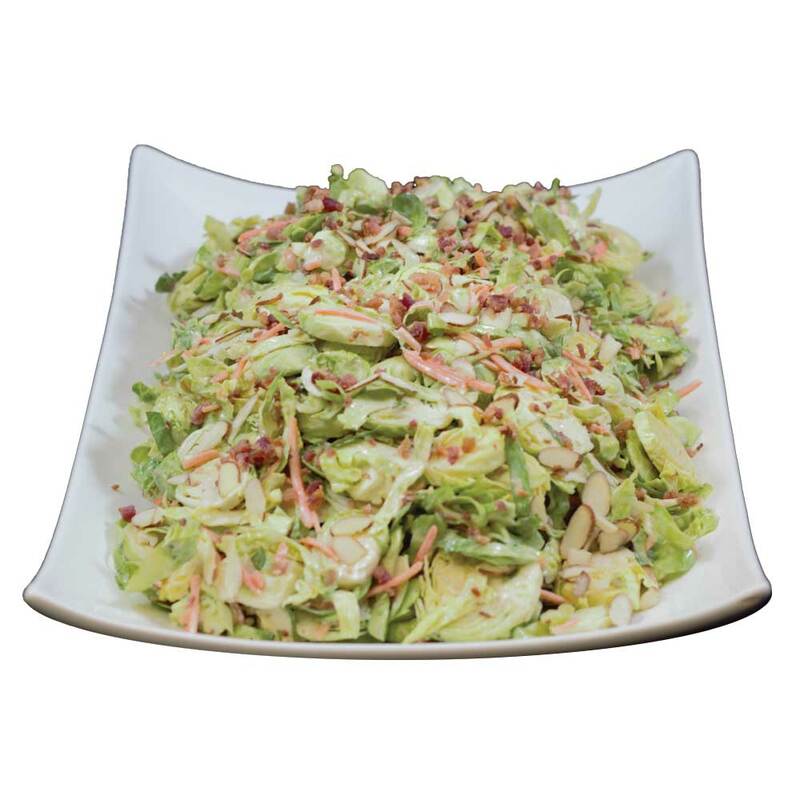 A Delightful Blend of Freshly Chopped Cabbage and a Sweet Creamy Cole Slaw Dressing with Garden-Fresh Tomatoes, Cucumber and Green Onion. Rich Gorgonzola Cheese and Hearty Red Skin Potatoes Blended with Applewood Smoked Bacon, Green Onion and Gorgonzola Mayonnaise Dressing. 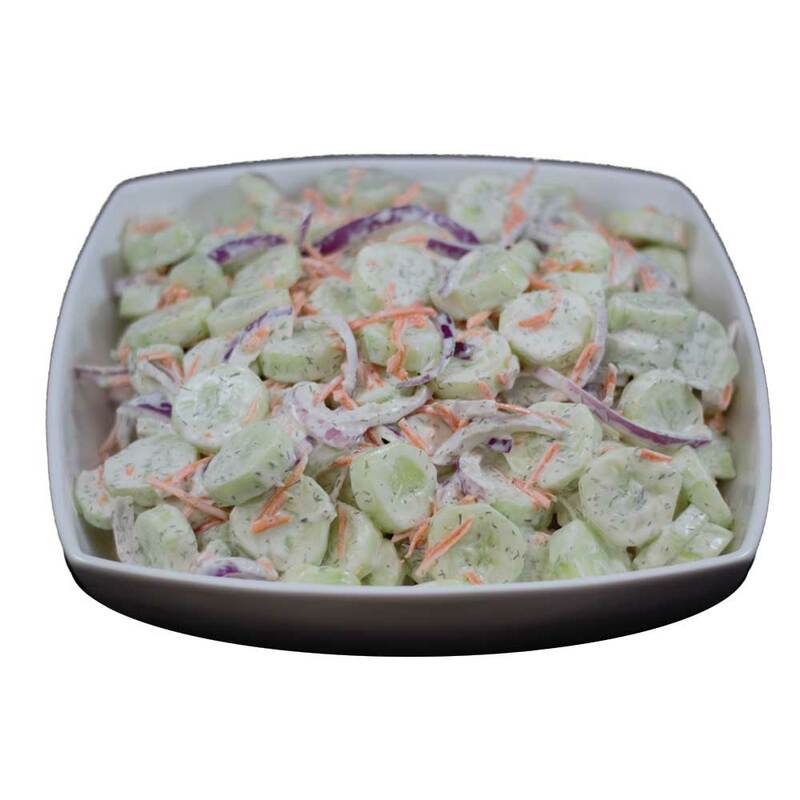 Farm Fresh Cucumbers Blended with Rich Greek Yogurt Dressing, Carrots, Red Onion & Dill. Fresh Cabbage, Carrots, Bell Peppers, Scallions and Snow Pea Pods with Ramen Noodles in Japanese Ginger Vinaigrette. 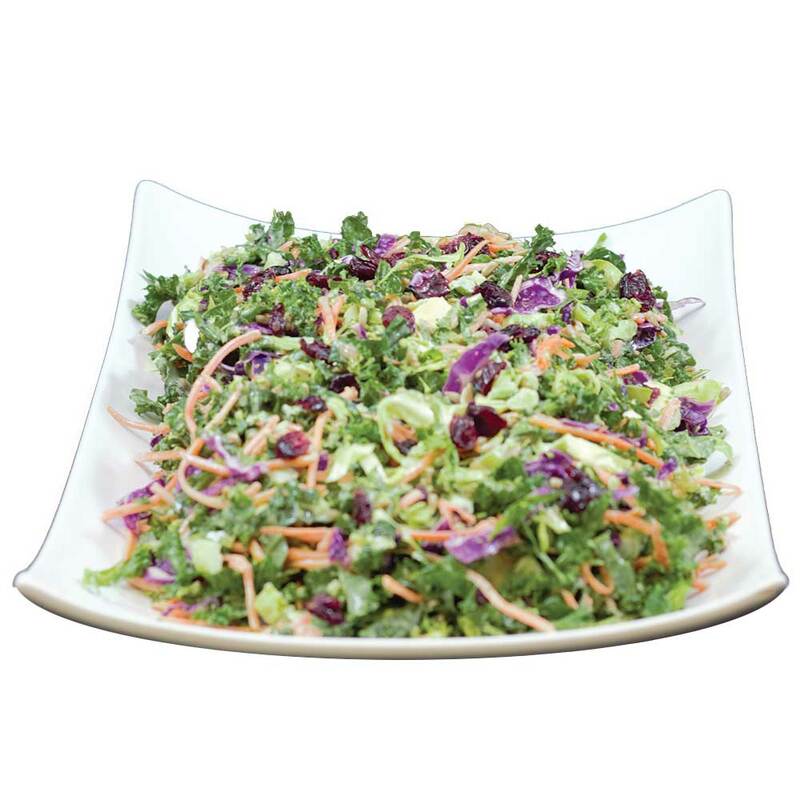 Fresh Kale, Brussel Sprouts, Broccoli, Carrots and Red Cabbage Blended with Sweetened Dried Cranberries, Sunflower Hearts and a Sweet All Natural Poppy Seed Dressing. 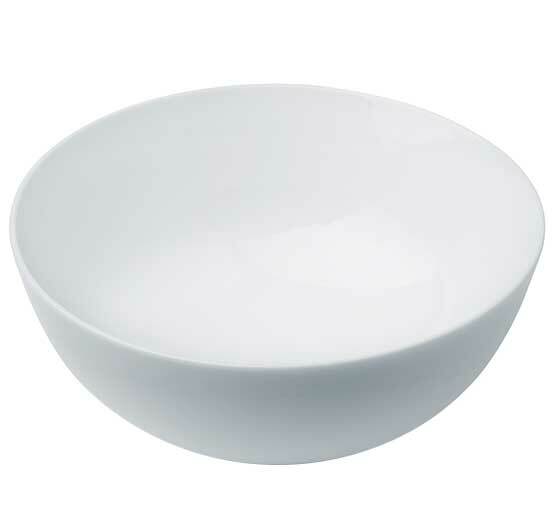 Flavorful Fire Roasted Corn with All Natural Mayonnaise, Fresh Cilantro, Onion, Bell Peppers and Freshly Grated Parmesan Cheese. Fresh Shaved Brussel Sprouts and Shredded Carrot with Real Smoked Bacon, Sliced Almonds and Sweet Creamy Dressing. Fresh Shredded Sweet Potato with Hearty Cabbages, Carrots, Pumpkin Seeds, Oranges and Cranberries in Apple Cider Vinaigrette. Large Pearl Couscous with Sweet Potatoes, Fresh Kale, Pepitas, and Mandarin Oranges in a Sweet All Natural Poppy Seed Dressing. Fresh Wisconsin Apples with Red Grapes, Celery, Sweetened Dried Cranberries and California Walnuts with All Natural Poppy Seed Dressing. Minnesota Wild Rice and Greek Orzo Pasta, Fresh Vegetables and All Natural Dressing.